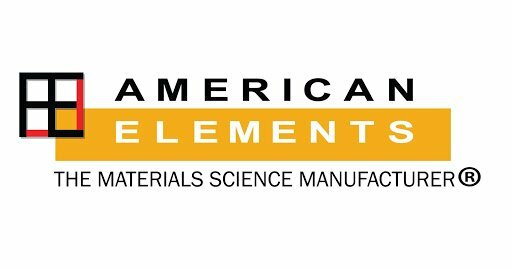 American Elements specializes in manufacturing high purity and ultra high purity materials ranging from 99.999% (5N), 99.9999% (6N), 99.99995% (6N5), and in some cases up to 99.99999% (7N) and 99.999999% (8N), such as 8N gallium ingots and 8N mercury metal. We can produce materials to specific grades including UP/UHP, semiconductor, electronic, deposition, fiber optic, and MBE grades. American Elements high purity metals, oxides, and compounds are crafted to meet the demanding needs of high technology applications and are ideal for use as dopants and precursor materials for thin film deposition, crystal growth of semiconductors, and synthesis of nanomaterials and applications such as advanced microelectronics,solar cells, fuel cells , and optical materials. Space poses possibly the most difficult challenges to materials scientists. Solar radiation, intense UV light and wide temperature ranges test the limits of structural materials and coatings. Preventing UV light damage is in large part controlled by the “whiteness” of the coating system which deflects UV radiation. When NASA contractors sought to develop a new generation of space-grade coatings for telecommunications satellites, they turned to American Elements to produce ultra-high purity forms of certain oxide compounds such as gallium, aluminum and zinc which share the property of extreme whiteness. We synthesized space-grade forms of each oxide in certified 99.999% purity and formulated custom blends to optimize the material. A next generation coating system was developed in 2010 and is currently in use on several U.S. launched satellites to provide exceptional resistance to intense UV light exposure. American Elements can purify materials that are known to be difficult to refine but are essential to many high tech applications and research. These include most metals, oxides, fluorides, the entire rare earth (lanthanide) series, cobalt, europium, rhenium, rubidium, scandium, and others to 99.999% purity and above with critical element impurities in the lowest ppb range. Rare earth materials are often sold with a 99.99% purity designation, when in fact they are of lower unknown purity because many testing capabilities of production facilities in China calculate the purity of a specific rare earth element as a ratio based on other rare earths in the compound; the relative quantities of all other elements are assumed. Such producers will represent this type of purity as "RE/TREO". American Elements 99.999% purity designation always is calculated on an absolute basis, which ensures the product’s purity with respect to all elements on the periodic table. American Elements can purify many materials to high percentages of absolute purity at our specialized production facility. Among its technical capabilities, this facility includes several large electric muffle furnaces, tube furnaces for hydrogen reduction, and 50 gallon glass-lined Pfaudler reactors. Production of high purity materials is overseen by Ph.D. chemists and supported by our extensive analytical laboratory, which uses atomic spectroscopy, x-ray diffraction analysis, scanning electron microscopy, glow discharge mass spectroscopy (GDMS), and BET surface area analysis, among other technologies, to ensure that the elemental composition and structural properties of each product rigorously adhere to our standards. American Elements' crystal growth production emphasizes ultra high purity elemental and compound materials produced in the form of single crystals, polycrystalline pieces, boules, and crackle, powders, ingots, discs, shaped charges and rods. We are recognized specialists in custom-grown single and polycrystalline materials of any of the III-V and II-VI compounds when special orientations, purities or dopants are required. Unlike many other producers, our facilities are also set up to cost-effectively produce small or pilot scale lots. All production materials are analyzed and certified prior to shipping. American Elements produces custom combinations of layers and substrates for both commercial and research applications. For example, we can produce many custom variations of metallic nitride layers on various aluminum oxide-based substrates. We provide metallization for these materials and our other products. Below is a sampling of our high purity product line. For more information on American Elements high purity materials or to request a quote, email highpurity@americanelements.com or customerservice@americanelements.com for more general inquiries.